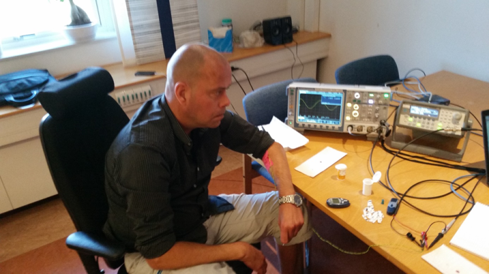 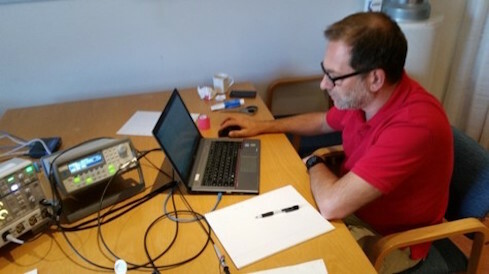 After theoretical simulation of the Mecsense principle at Mid Sweden University, initial tests started in 2014. 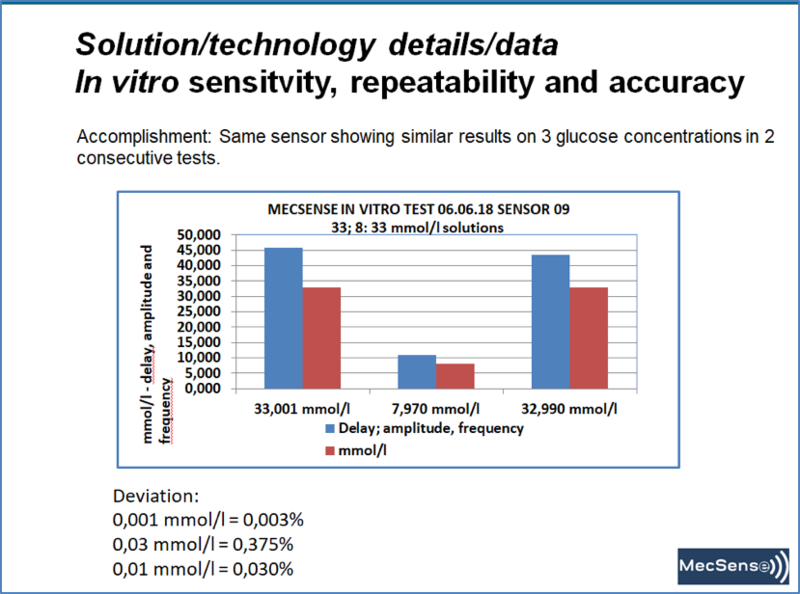 The graph below show one of the first in-vitro results. 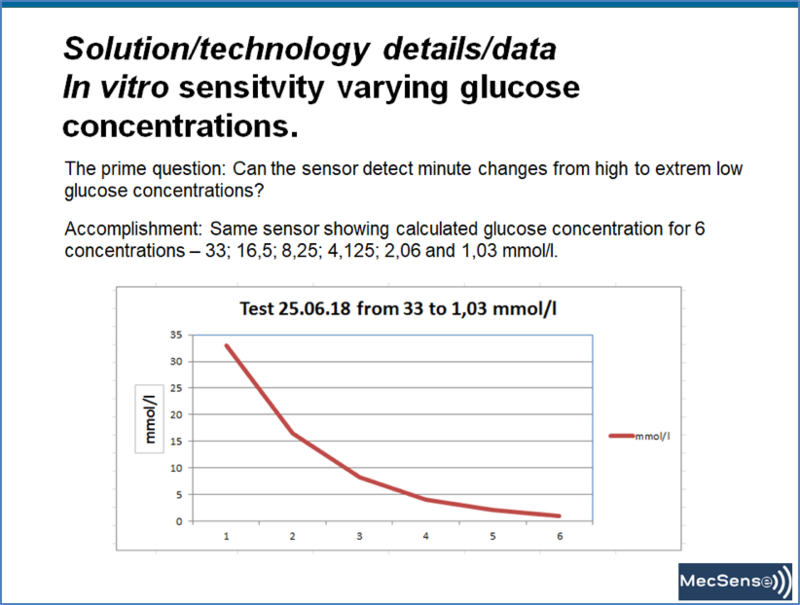 The sensitivity of the principle has been verified in-vitro as shown in the following graph. 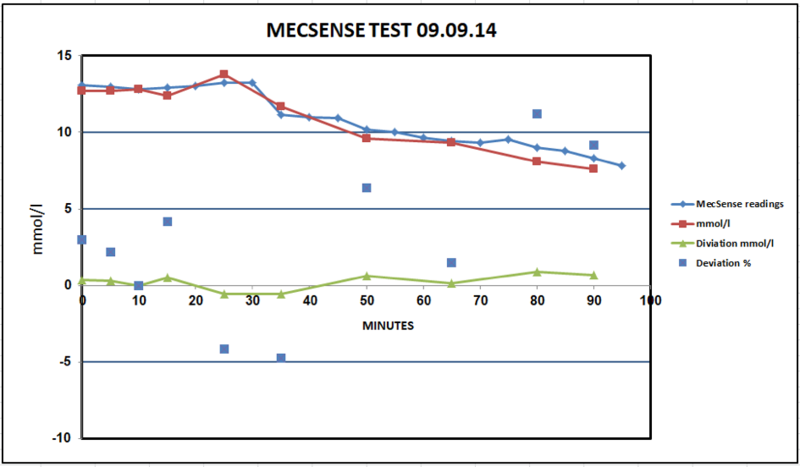 When this was established, we tested the sensors for sensitivity, repeatability and accuracy which gave the results as seen in the following graph.